A budding partnership between high schools and Kapiolani Community College represents another way to grow Hawaii’s health care workforce. About five years ago, Kapiolani Community College officials started noticing a trend among applicants to their continuing education programs. The people trying to get into the short-term courses that confer professional certificates were younger, many of them recent high school graduates. If the programs were attracting people that young, the officials thought, why not go directly into high schools and establish a program that would give seniors a boost on obtaining a certificate to gain entry into the workforce? Thus began a partnership with Waipahu High School, which embraced the idea of a vocational path for non-college-bound students. “They were looking for something that would allow a brand new grad, when they step off their high school graduation stage, to have more options than a fast food restaurant,” said Sally Pestana, program director of the health department at KCC’s Office of Continuing Education and Training. Waipahu High seniors who completed a pilot Pharmacy Tech Program through KCC attend a certificate ceremony in December. In December, the West Oahu school honored an inaugural group of students who obtained their “Certificate of Competence” in KCC’s Pharmacy Technician Program after completing 96 hours of classroom instruction and 160 hours of clinic hours at partnering CVS drugstore locations. The certificate enables them to work as pharmacy technicians in Hawaii or gives them the foundation to pursue other medical jobs in the future. 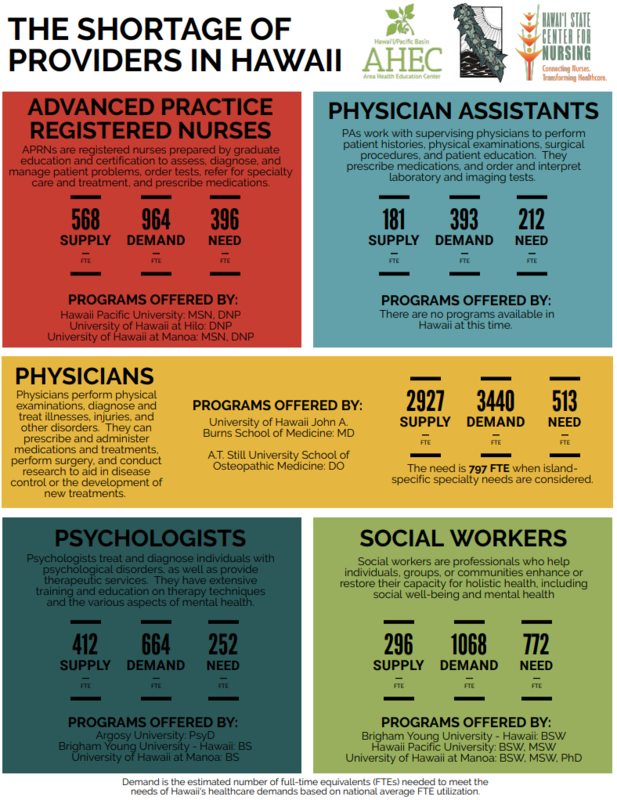 Hawaii doesn’t require a national certification like other states, but students can take the national Pharmacy Technician Certification exam to be nationally certified as pharmacy technicians. 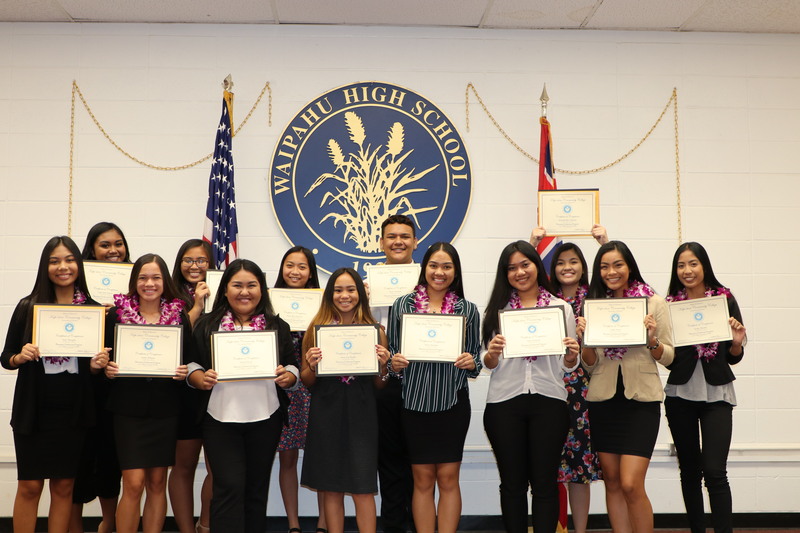 The 17 seniors were selected based on their progress with high school graduation requirements, their grade point averages, teacher recommendations and ability to handle the rigors of the program, said Waipahu High vice principal Eunice Fukunaga. Good communication skills were also crucial: As those who greet customers at the pharmacy counter, the technicians are responsible for filling prescription counts and validating orders. It also comes with steep responsibility: “Whether you’re 19 or 39, a mistake can still cost a life. There is no get-out-of-jail-free card due to your youth,” Pestana said. 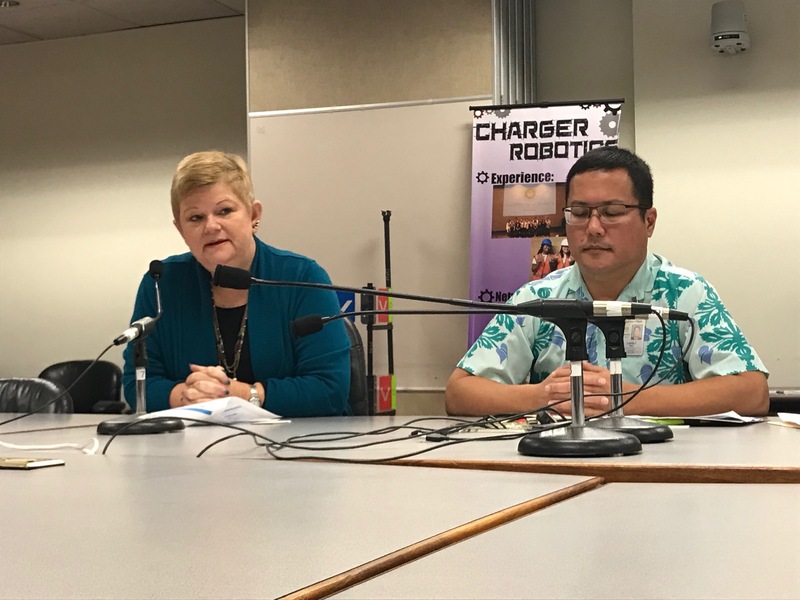 The vocational component of high school education is on the rise, particularly in Hawaii where many educators and the business community are calling for career and technical training that equips high school graduates with specific skills. Several bills at the Legislature this session promote more funding for continuing education instruction within the Hawaii Department of Education. About 5,000 of the 11,000 high school graduates in Hawaii each year do not enter college. Sally Pestana, professor of Health Sciences at Kapiolani Community College, talks to lawmakers beside Lorrin Kim of the state Department of Health at a briefing in January. Despite Hawaii’s low unemployment rate, mainly a function of its tourism and hospitality industry, there is a shortage of workers in key sectors like health care, fueled by an aging population and an exodus of qualified workers. KCC’s pilot Pharmacy Technician Program with Waipahu High addresses many of these concerns by reaching into a potential pool of certificate-seeking students, said Pestana. “What we recognized both from UH and the employer perspective is, that’s our one untapped demographic group,” she said. At an informational briefing for lawmakers last month, Pestana and others testified about the viability of these programs and their benefit to the state. “We’re going to put a serious dent in Hawaii’s brain drain if we can replicate this program in other industries,” she said. KCC is now looking to expand the pilot to other short-term offerings like the Community Health Worker and Optometrist Assistant programs. Its Pharmacy Technician Program is expanding to Farrington High this month. Since these are noncredit programs, funding is not part of the Early College appropriation to the DOE. The program is touted as the next vanguard for saving on college costs. The DOE has requested $3 million in funding over the next two fiscal years for Early College, a program that allows eligible high school students to accumulate college credit. Waipahu High’s pilot program with KCC was obtained through a $24,000 grant applied for directly by the school, Fukunaga said. High-schoolers don’t pay the tuition — which is about $2,000 for a regular KCC student — but the funds covered outside costs like books, supplies and smocks. Students’ only out-of-pocket cost was a $150 fee. 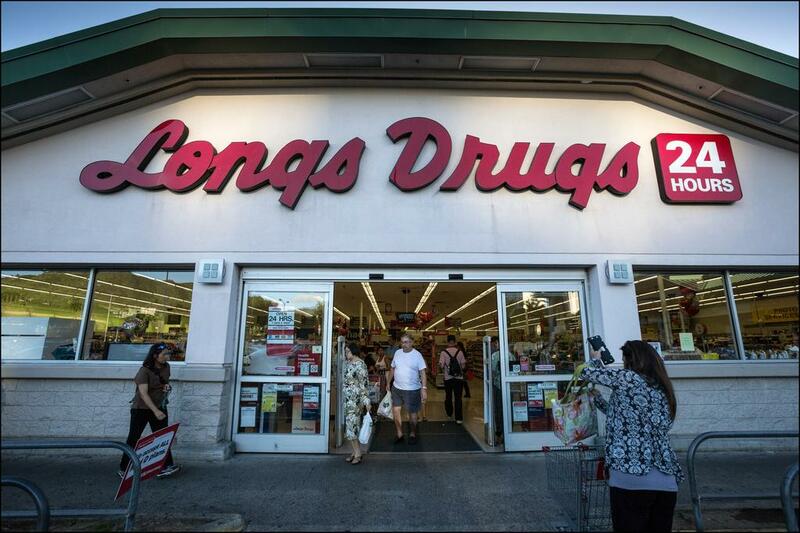 CVS Health, the owner of the islands’ Longs Drugs, reported last year that there were 150 job openings in Hawaii for pharmacy technicians. There are 70 CVS pharmacy locations across Hawaii, including 45 on Oahu. Mary Gattuso, a spokeswoman for CVS Health, praised the high school partnership. The benefits extend to the community: a Waipahu High student who is fluent in Ilocano, one of the languages spoken in the Philippines, completed her externship at a CVS affiliate in Ewa Beach and used her language skills to help translate for that community, said Fukunaga. “Realistically, we’d like everyone to go to college, but financially, can every family afford it? No,” she said. “A lot of our students have to work a year or two, save money, and then go to college or through these certification programs, they can work and go to college, because they’re making a higher wage. “These kids can go out and potentially make 18 to 20 dollars a hour if they get into hospital pharmacy,” she said.